It's been some time since I've posted updates here, as I had been busy for the past months. However, I'd like to share about something exciting! 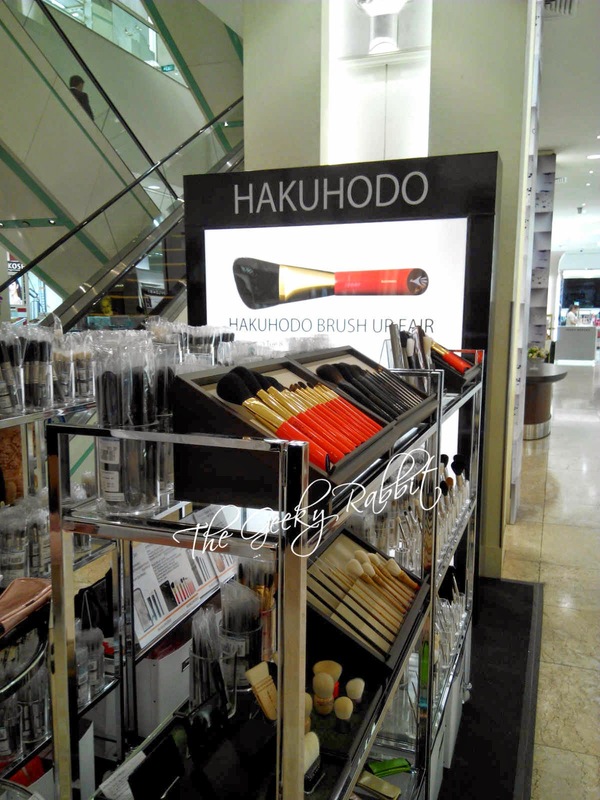 Hakuhodo is having a pop-up store at Takashimaya Singapore from now till April 8th. It's been on for the past week, so do pop if you love the brushes. They are famous for their great handmade fude, and the quality is superb. Do drop by early as the popular brushes and accessories get sold out pretty quickly! I am a huge fan of their brushes. The service is superb- the staff are familiar with the products and can advice on what brushes you could get to suit your makeup needs. There are various sets and kits available as well, for those who would like to try out different brushes.